Presenting your company’s history can be extremely difficult, especially if you want to do it in a comprehensive and retentive manner. 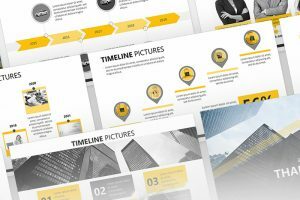 To make it easy for yourself, all you have to do is download these free Timeline PowerPoint Templates, and input your data. These templates include numerous different timeline designs that you can choose from, each with a different layout. If you think that the pre-made timelines aren’t adequately conveying your point, there are text boxes on the side of each thumbnail, enabling you to explain your point further. These templates are equally useful when making a birthday or wedding presentation for your friends or family.